Frikadeller are flat, pan-fried dumplings of minced meat, often likened to the Danish version of meatballs. They are a popular dish in both Denmark and Germany. In Sweden, poached quenelles are called frikadeller and are usually served in soup. Left: A batch of Danish meatballs, also known as "frikadeller". 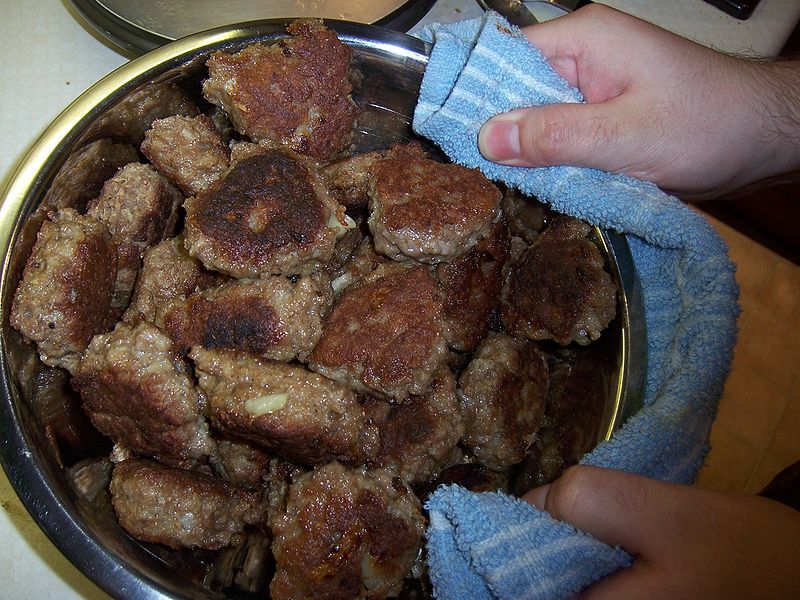 Many variations of frikadeller exist but traditionally they are made of minced pork, veal or beef, chopped onions, eggs, milk (or water), bread crumbs (or oatmeal or flour), salt and pepper, formed into balls and flattened somewhat. They are then pan-fried in pork fat, or more commonly in modern times in butter, margarine or even vegetable oil. As a main dish they are most often served with boiled white potatoes and gravy accompanied by pickled beetroot or cooked red cabbage. Alternatively they can be served with creamed, white cabbage. Left: Frikadeller meat balls with cabbage in white sauce. Frikadeller are also a popular choice on the Danish lunch buffet, eaten on rugbrød (Danish rye bred) with red cabbage or pickle slices. 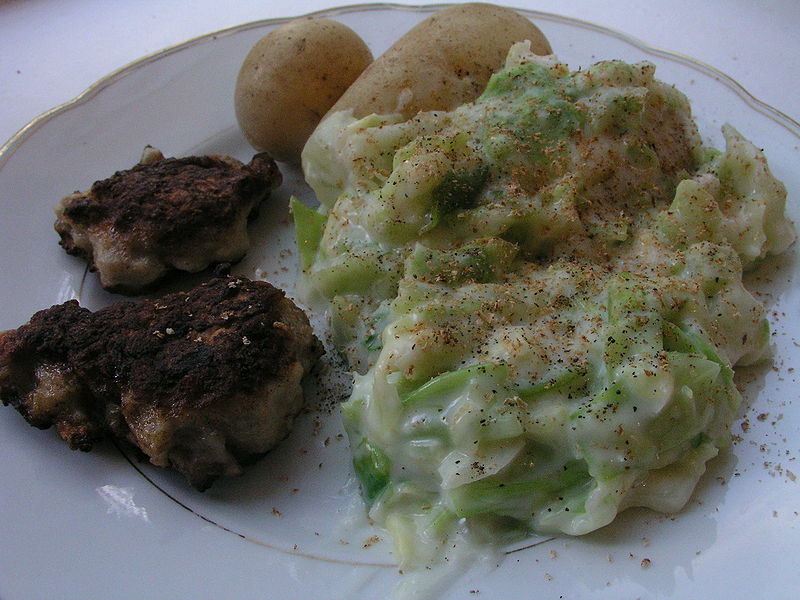 The combination of frikadeller and a cold potato salad is very popular at picnics or potluck dinners, due to the ease of transporting either component after cooking. A common variant of frikadeller are fish frikadeller, made from a similar recipe with minced fish instead of pork or chicken. Lacto-ovo vegetarians can also make vegetarfrikadeller with grated parsnip, beetroot and carrots as fake meat.